RUNATURE is located in Weihai, where is a world-renowned fishing tackle produce city. We enjoy a high reputation on domestic outdoor market and have also exported the fishing gear to many countries in the past few years. We can guarantee you that our fishing gear tackle is Highly Cost Effective. 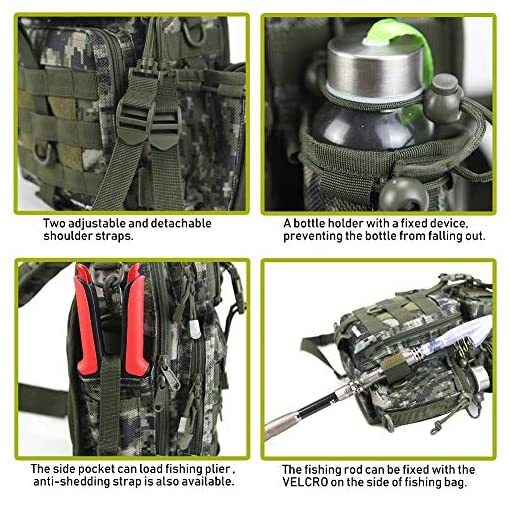 1.Great fishing tools for boat fishing, best choice for trout fishing, carp fishing, bass fishing, samlon fishing. 2.RUNATURE fishing net with high quality nylon mesh makes it more durable for catching and releasing. 3.The head is collapsibley, the weight is light. It is easy to carry around. Manual measurement may have a little difference. WATERPROOF & DURABLE: Water-resistant 1000D high density nylon fabrics, made with high-end equipment to ensure its safety. 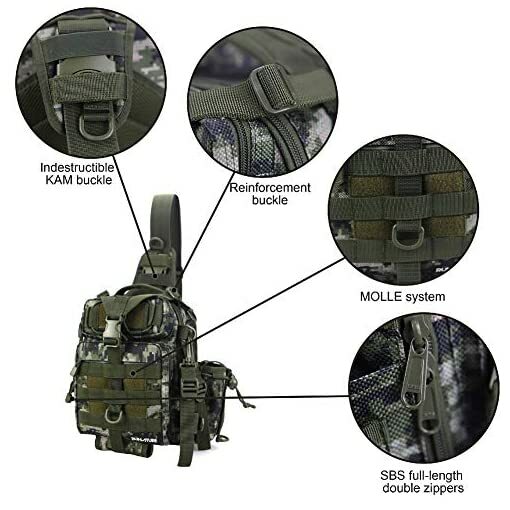 The abrasion resistant and indestructible KAM buckle and SBS zippers (Full-length double zippers), more durable. 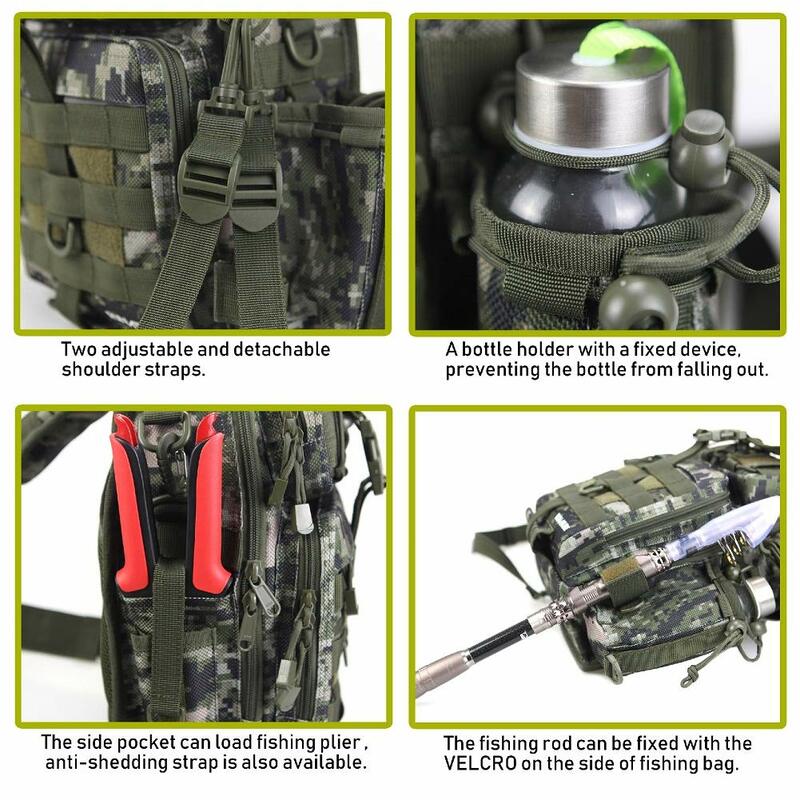 MULTIFUNCTIONAL TACKLE BAG: Dimension of main compartment: 12*8.7*4.3in. It is convenient for you to storage the lures, pliers, line, fishing lure boxes, wallet, phone, ipad, camera, books, keys and other accessories you need in your life. 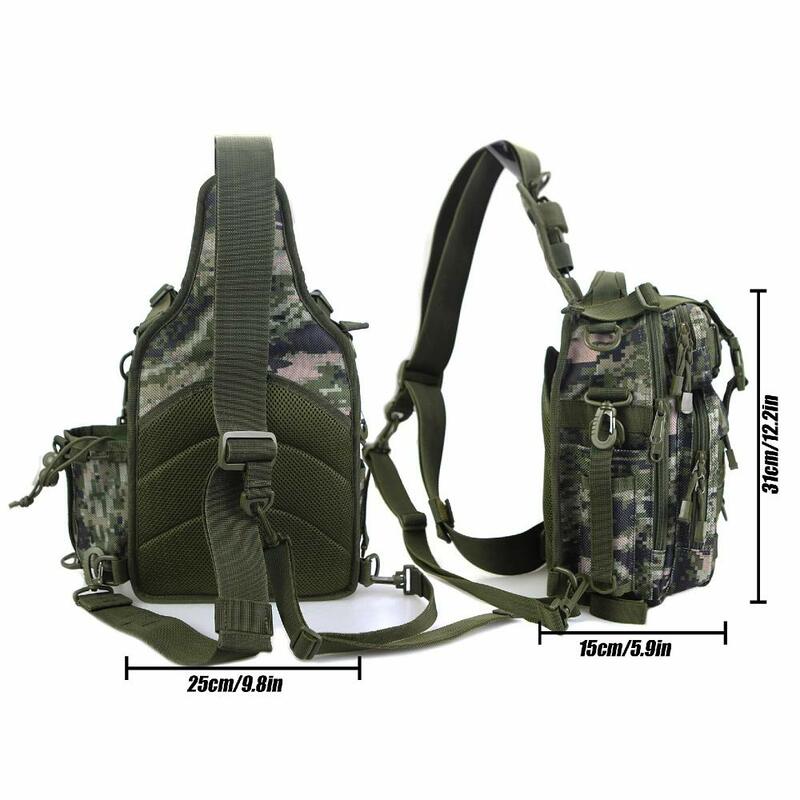 ADJUSTABLE & DETACHABLE STRAP: Two left/right exchangeable, adjustable and detachable shoulder straps. 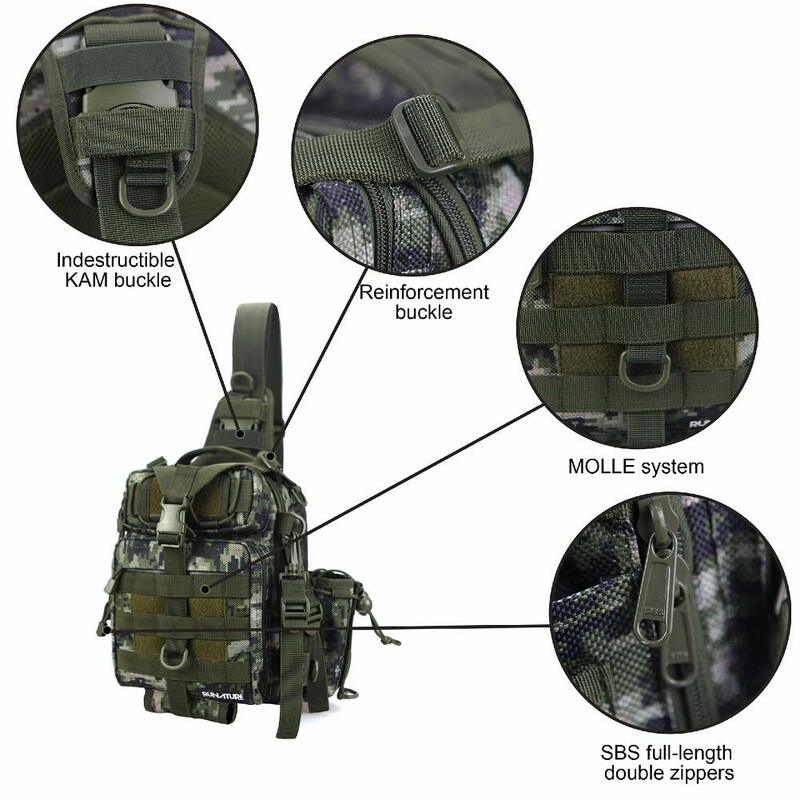 The main strap length can be extended up to 51.2”, while the associate strap can be extended to 36.2”. Can be used as Sling shoulder bag, backpack, handbag, chest bag, fishing tackle bag, travelling bag etc. Two rod belts to hold your rods. UNIQUE INNOVATIVE DESIGN: The humanized reflective sticker helps you be safe by reflecting the lights at dark situation. Ergonomic overall design (widened shoulder strap and rear breathable mesh design) makes the user feel very comfortable. MULTIPLE STORAGE COMPARTMENTS & EXTERIOR POCKETS: There are 3 components in the main pocket for clarifying your stuff. 3 external zippered pockets for storing your daily necessaries. 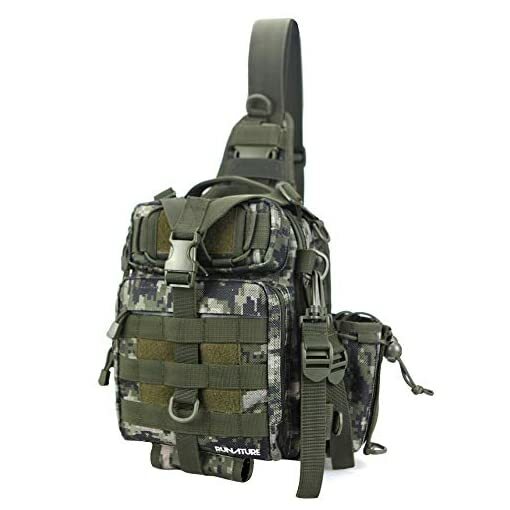 Left pocket for water cup/bottle, ,right pocket for the tools, such as pliers. Fashionable and durable whether its for adults or kids. 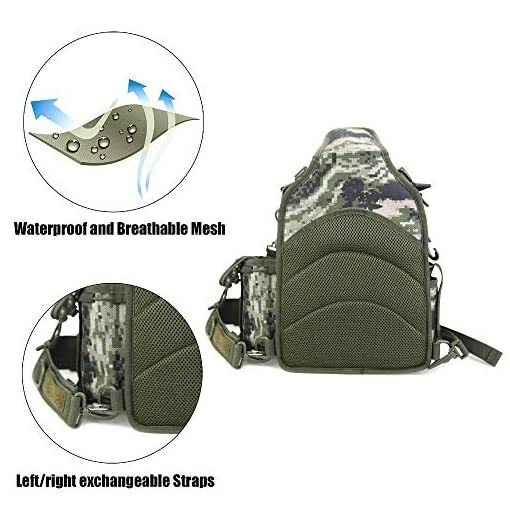 Best choice for outdoor life enthusiasts.